Welcome to Sandoval Freestyle Karate! Choose your location for new student info, class schedule, driving directions, and more. Not sure if karate is right for you or your kid? Try for free by using the form to schedule your first class online. 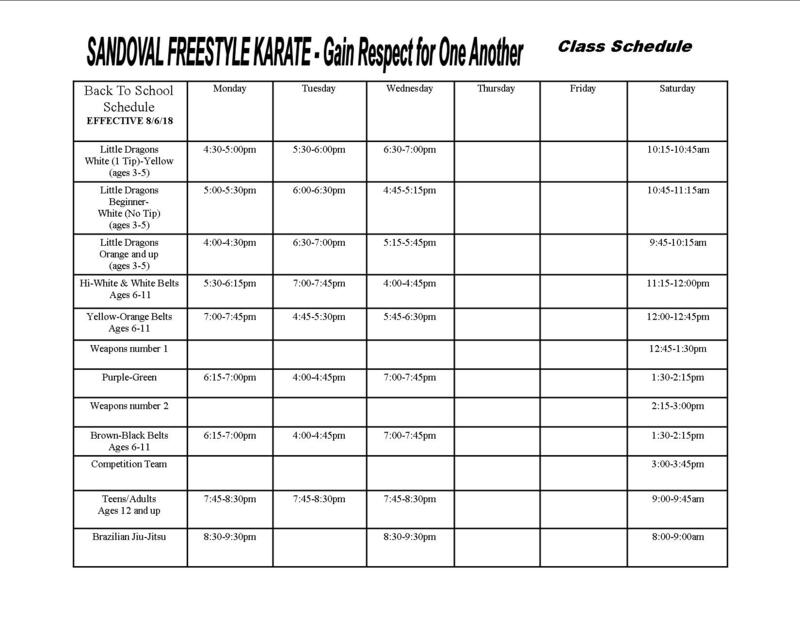 Sandoval Freestyle Karate is a leading martial arts school located in Phoenix’s East Valley. 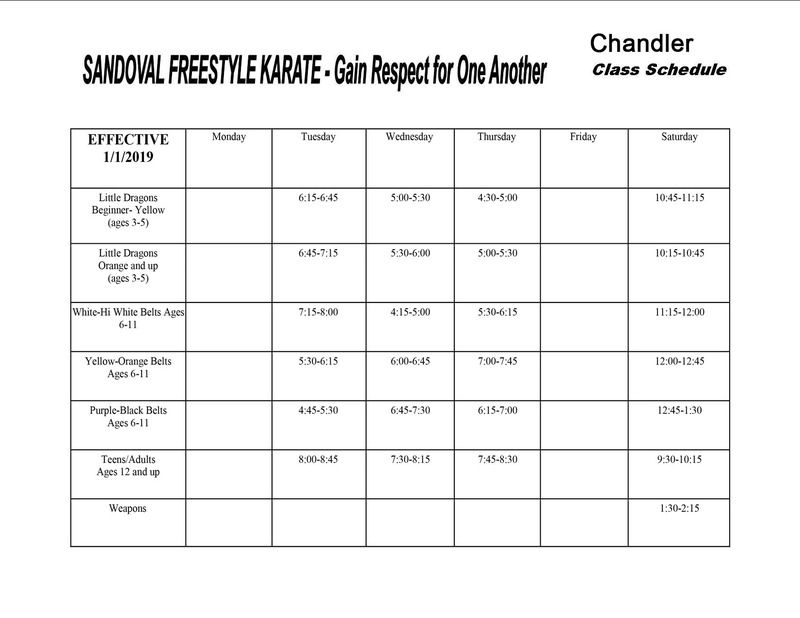 We have two locations, a Gilbert school and Chandler school, both of which offer martial arts derived from traditional karate, taekwondo, American kenpo, and Muay Thai. We are also very proud to be an official Gracie Brazilian Jiu-Jitsu academy and offer jiu-jitsu lessons at our Gilbert location. Please select from the following classes to learn more or feel free to contact us directly. Have your little one join our Little Dragons class to learn better eye-hand coordination, listening skills, and most importantly, to have fun with friends! Beginner’s karate is for students ages six through 11 and offers excellent tuition on self-defense, respect for one’s peers and elders, and skill development. Teenagers and adults that study martial arts have improved social skills, self-esteem, and active lifestyles – helping students to feel great and stay in shape. Learn Brazilian jiu-jitsu in Gilbert at Sandoval Freestyle Karate – an official Gracie Jiu-Jitsu school taught by BJJ purple belt Mr. Allen Sandoval. What Sets Our East Valley Karate Schools Apart? Select from the following or read all our blog posts! An upward or rising block used to deflect an attack to the upper part of the body. It can also receive an incoming attack and sweep it overhead while still keeping contact with the attacker’s instrument (arm, leg, or weapon). A term derived from traditional karate that literally means “to annihilate at one blow”. In karate, this is deemed to be the pursuit of landing a single strike that ends the contest. It is one of the most advanced techniques in karate and takes many years of practice and immense skill to perfect. Few karateka ever reach this level.